An audience guided by darkness, stare in front of a huge multi-screen landscape waiting for a 3-D concert. The anticipation rises as our figures silhouetted by neon lights appear duplicated on the screens. 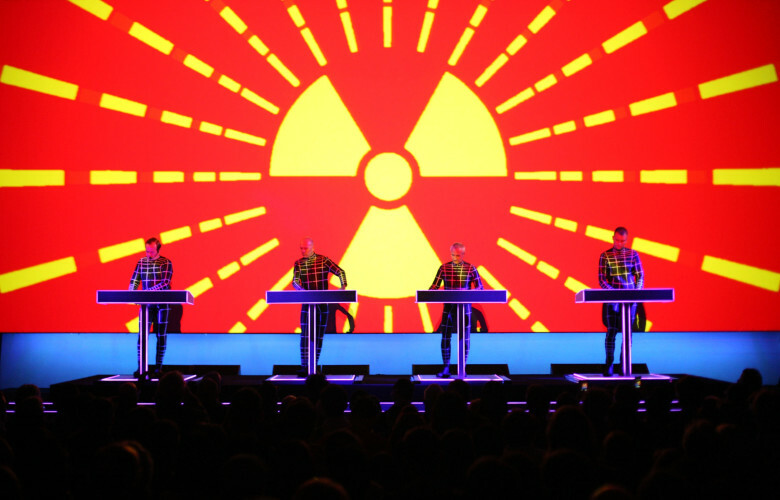 It is 2013 and international press have travelled to Sónar Festival to see Kraftwerk’s live performance. Here, they will ascertain whether the show that has been performed at MoMA as a retrospective the year before, deserves to be staged in the context of a museum or if it is limited to the music festival arena. It is not the first time the German electronic pioneers combine art, computer-speech technology and music (their first contribution was at the Venice Biennale in 2005); and nor will it be the last. In 2013, their 3D show sold out for eight consecutive nights at Tate Modern’s Turbine Hall in less than an hour. This opened up a pre-existing debate: the institutionalization of music in the arts.